This year, I have both kids in school full-time. When they get home, they follow a basic routine that works well for our family. From giving the kids a delicious snack to encouraging outdoor play time, keep reading to see how I keep our afternoons running smoothly and successfully. After a full day of school, where the kids are predominantly sitting at a desk doing work, I like to encourage them to get physically active when they get home. During the warmer weather, we usually head outdoors to our swing set. Even a fun game of hide-and-seek outdoors lets them burn off some excess energy. During the colder months, we will stay indoors and have a family dance party in the living room. And when it comes to dance parties, the sillier, the better! With all the after-school activities we have on a regular basis, we are often on-the-go once the kids get off the bus. However, my kids always come home from school hungry. 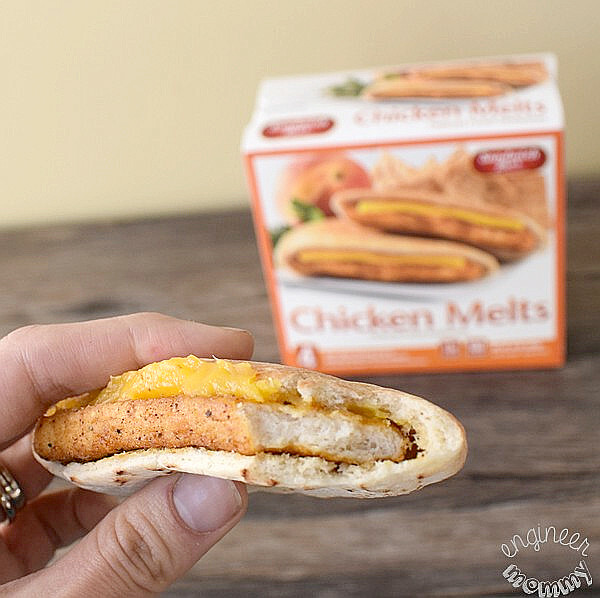 So one convenient solution that we recently discovered is Sandwich Bros. Chicken Melts. This nutritious, tasty hand-held snack is a favorite of the whole family. 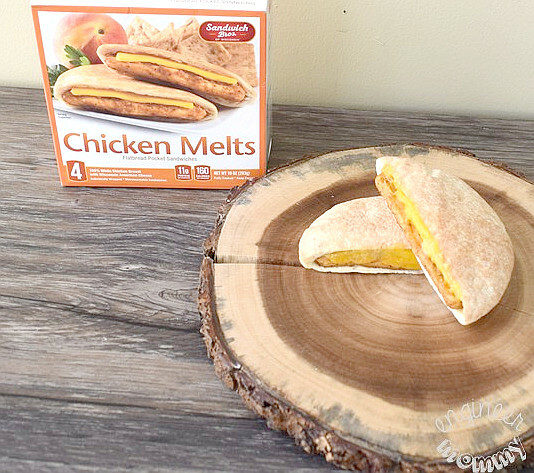 These sandwiches are easy to make in the microwave. My husband and I also love to turn to these sandwiches for easy snack or meal ideas for ourselves. For those watching their waistlines, you’ll be happy to know that Sandwich Bros. has the lowest carb ratio. 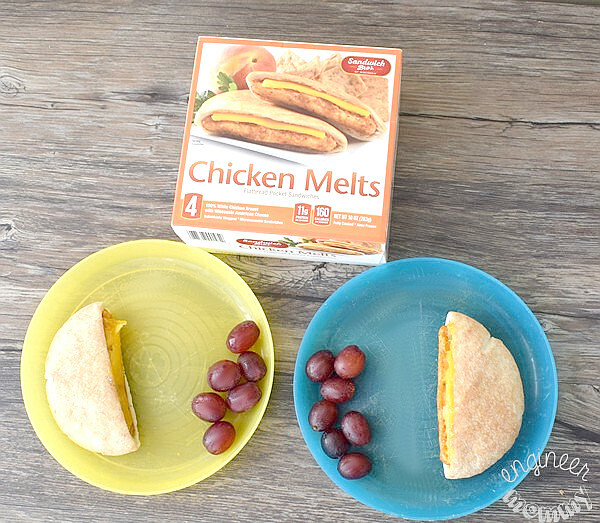 For the kids, these Sandwich Bros. products are perfect after school paired with some fresh fruit. Each bite is full of delicious flavor. The flatbread pocket is stuffed with high-quality protein (like 100% Angus Beef, all-white meat chicken, all-natural sausage) and REAL Wisconsin cheese. What does my normally-picky 6-year old think of the sandwich? She gave it a thumbs-up, which always puts a smile on my face! By the way, did you know that Sandwich Bros. of Wisconsin® is one of the fastest-growing retail sandwich brands in the US, according to recent Nielsen reports? Their delicious protein-packed sandwiches are gaining popularity throughout the country. Look for Sandwich Bros products at retailers nationwide like Kroger, Costco, Sam’s Club, and more – visit the store locator here. Before you head to the store, be sure to visit this link for some great money-saving coupons. When the kids do get home from school, I love to spend some quality, one-on-one time with each of them. My older daughter loves to create art so we often like to take out her huge 64-piece art set and create masterpieces together. My younger daughter loves her dolls and imaginative play so we often sit on the floor together and create fun stories with all her characters. There are a lot of things that go into maintaining a household and I want to instill positive habits in my kids. So I have developed age-appropriate chores for each of my kids. My younger daughter (4) is responsible for picking up her toys at the end of the day and helping me set the table. My older daughter (6) is responsible for cleaning her room and helping me load / unload the dishwasher. By the time kids get home and have a snack and engage in some fun playtime, there’s not that much time before bedtime. Our bedtime routine helps the kids understand that it’s time to wind down and get ready for sleep. It includes dinner, bath time, story time, and some cuddles. I hope these tips have inspired you to streamline your kid’s after-school activities. 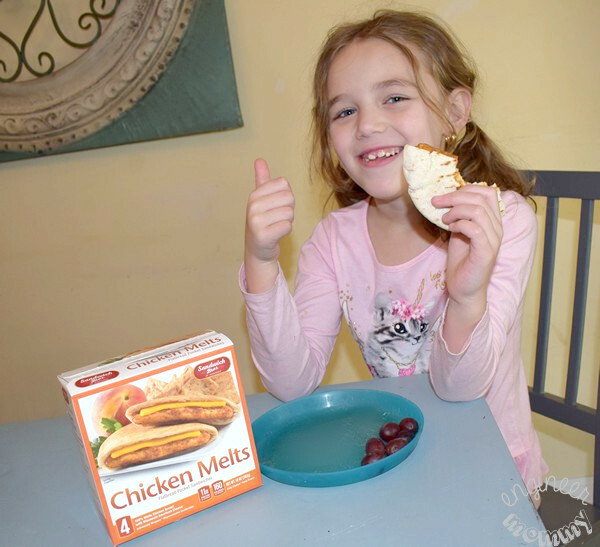 Check out Sandwich Bros. for a delicious, convenient snack solution for your family. What do you do with the kids when they get home from school? I actually have what I call “second lunch” ready for my boys when they get home from school LOL. They both eat a FULL MEAL between lunch at school and dinner! 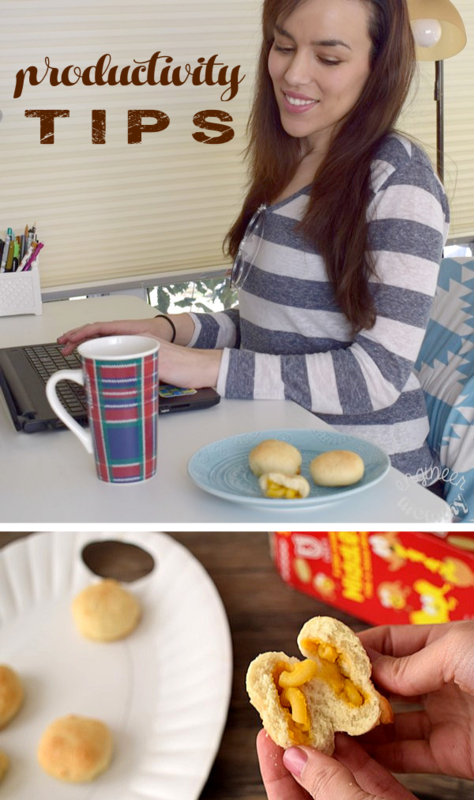 I love quick and easy snacks. I love chicken and cheese so I might find myself snacking on these if we had them. I remember always trying to come up with a new and different after-school snack. These sandwiches look delicious! An after-school routine is so important and I’m glad you included physical activity. I always had snacks ready for the starving kids when they hit the front door. Gave me time to talk with them about their day. These do look like some tasty sandwiches. I’ll have to pick some up for my kids! They’re always hungry when they get home from school. 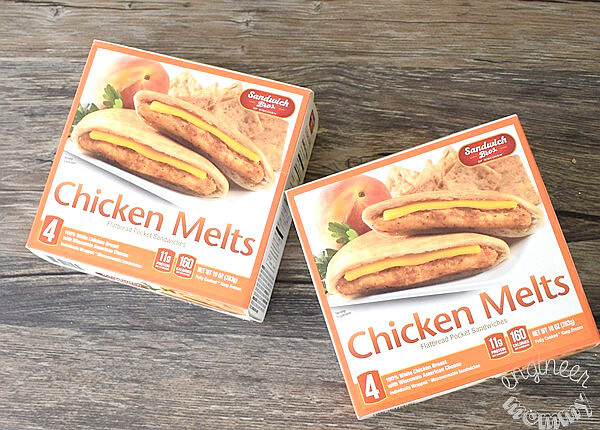 Those Sandwich Bros. Chicken Melts look like the perfect after school snack. I’ll have to check those out next time I’m at the grocery store. I haven’t seen these near me, but my son would love them. My kids come home from school starving. They drop their things, grab some food and then I don’t see them until dinner. If it’s not too cold they’re outside or they’re in their rooms with half the neighborhood over our house. These would be perfect for everyone. We homeschool, so we don’t really have an afterschool routine. But these are great ideas. And we totally have a bedtime routine. It is important to develop a routine. We always have to have almost another meal when school is over. It is amazing how hungry they are. My son is all about routines after school. I think it’s important to establish them to help keep the flow during the school week. We always include a healthy snack and are always looking for new alternatives. These chicken melts look really good. My son loves chicken and anything with cheese. I’ll have to take a look for them in the store! Wow, my son would love these. I already love them, because it healthy, and simple and easy to prepare for him to snack on after he gets home from school. These look great to keep on hand for a quick meal or snack. I always try to have something like this around for when my husband works last dinnertime. Snack time is always a must after school! I like that this is a quick option for me to make for them. My crew likes to relax for about 30 minutes, then we go outside or hang out. I love hearing about their day. This easy to make sandwich is not only for kids school lunch. It can also be a lunch food for adult as well. Specially on busy schedules and tight budget. Those chicken melts taste so good. I would love one right now. These are a really great snack or even meal. They taste so good! These chicken melts would be a good snack I can give my grandchildren. I am sure they are going to enjoy these.